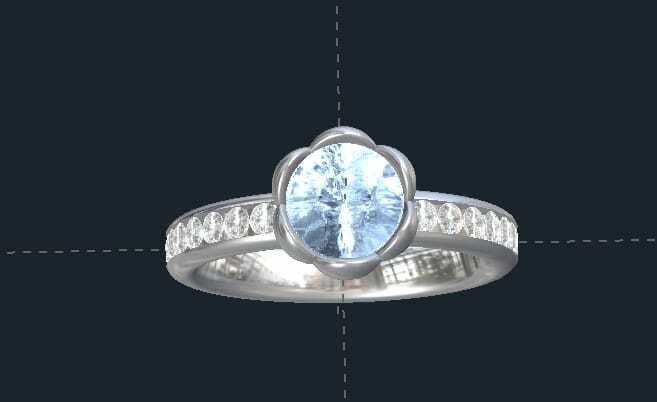 This Custom Flower Engagement Ring has 6 cutout tulip petals holding a 7.5mm Aquamarine. The accents in the band are 2mm. I could make this with other flower shapes as well and the stones could be pave or shared prong set rather than channel set. ACCENTS: over 1 TCW (1.3, 1.8, and 4mm). Different sizes and types can be used. 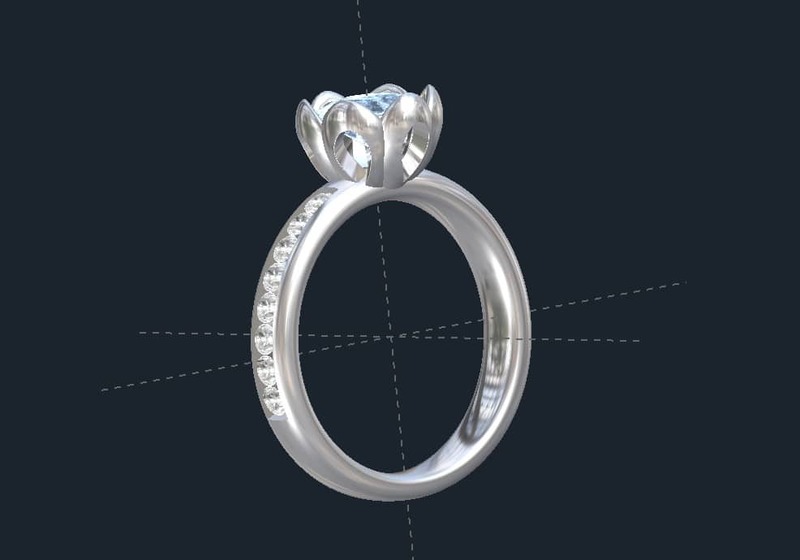 Click HERE to see another Custom Flower Engagement Ring design or contact us with your custom engagement ring idea.